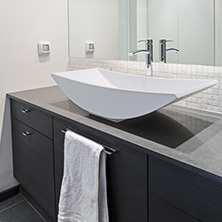 Getting your desired home improvements completed is easy when you work with a skilled renovator. We have concluded that Target’s windows are the best, second to none. 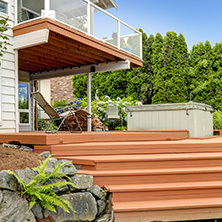 Scott’s Construction is the team to trust for affordable, reliable deck building and repair services. 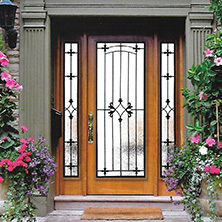 A secure and beautiful door is a must for any home. We work with Target brand doors, which are of the best. 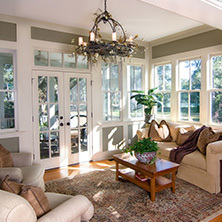 An expert home remodeling contractor from our team can help turn your ideas into reality. It doesn’t have to be difficult to find a qualified construction company who can make the updates you want. All you have to do is reach out to Scott’s Construction. Serving clients all over Orland Park and the surrounding communities, we’ll go above and beyond to get all your work completed the way that you want and in a cost-effective manner. Give us a call today at Scott’s Construction to schedule an appointment with an established construction company. Located in Orland Park, we’ll get the job done promptly while providing great service every step of the way. We're a Proud Target Windows and Doors Dealer! Up to 1" thick glass for better insulation. Double lifetime warranty that lasts generations.